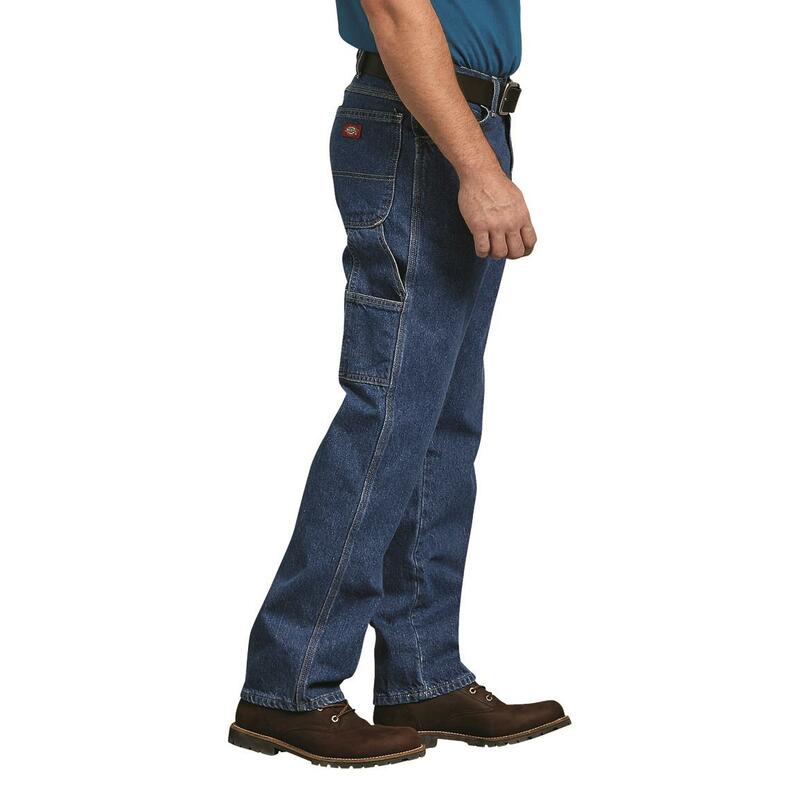 These Dickies® Carpenter Jeans come in durable heavyweight cotton denim. Reinforced at stress points. 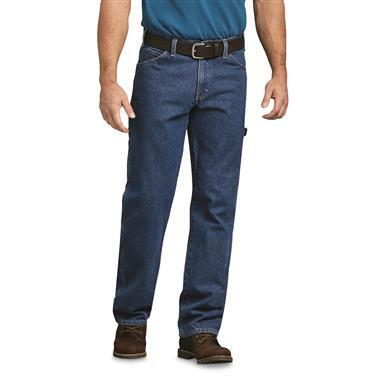 Even the seven keystone belt loops securely keep your belt on without bunching. 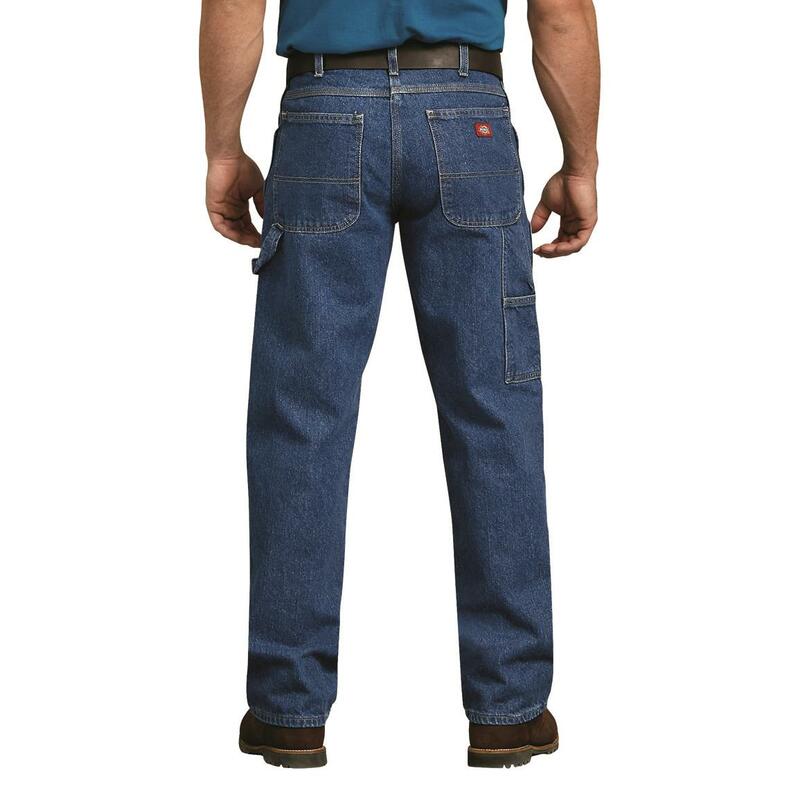 All with the added utility of the roomy carpenter style that's made for working. 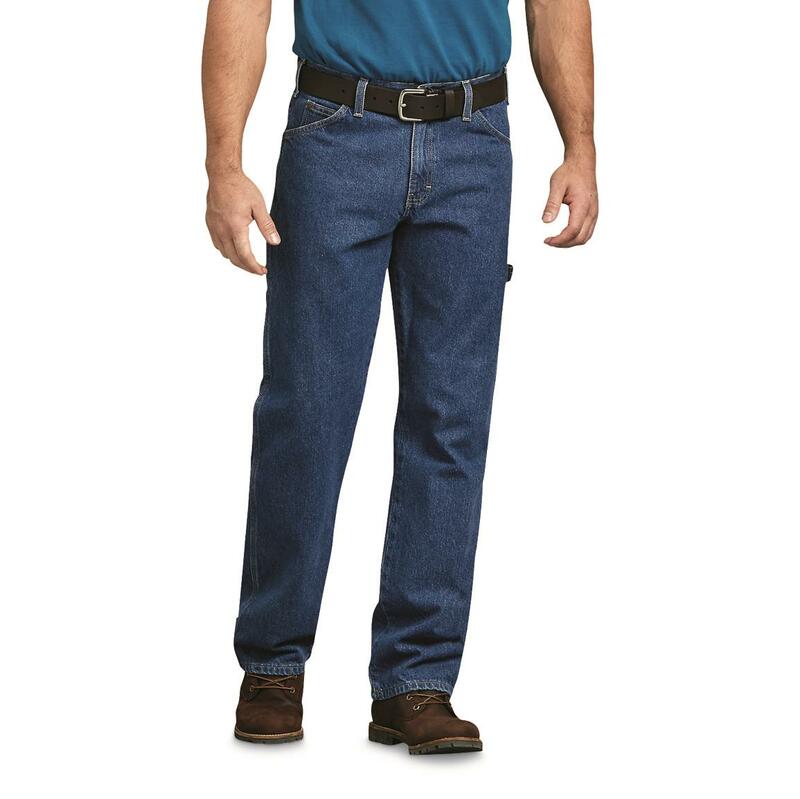 Dickies Mens Relaxed Fit Carpenter Denim Jeans is rated 4.6 out of 5 by 752.